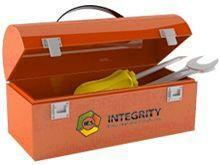 Our clients make fixed equipment integrity decisions every day based on the amount of risk they are willing to accept. At IES we are here to help them through the decision making process by applying advanced engineering assessment techniques in order to provide a quantitative approach to risk assessment and a sound, documented basis for decision-making. Since we are current with the latest methods and approaches being employed, we can often advise what techniques are likely to be successful during an initial consultation. This way, clients know their options immediately. We call that our emergency service and for established clients, it is free, as part of our ongoing partnership with them to ensure the integrity and safety of their equipment.